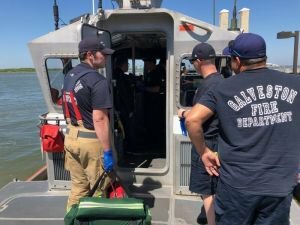 The US Coast Guard medevaced a crewmember from a container ship near Galveston, Texas, Tuesday. 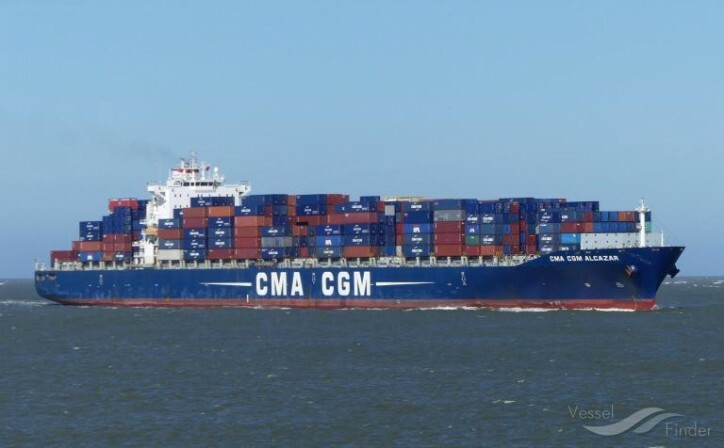 Coast Guard Sector Houston-Galveston watchstanders received a report from the container ship CMA CGM Alcazar that a crewmember aboard required medical assistance. Watchstanders consulted the duty flight surgeon who recommended a medevac. A Coast Guard Station Galveston 45-foot Response Boat-Medium boat crew arrived on scene and transferred the crewmember to awaiting emergency medical services personnel at Coast Guard Station Galveston. The crewmember was reported to be in stable condition. On image right: A Coast Guard Station Galveston boat crew prepares to transfer a crewmember from a conainer ship to awaiting emergency medical services personnel at Coast Guard Station Galveston after a medevac on April 9, 2019 near Galveston, Texas. U.S. Coast Guard photo by Station Galveston.